A branding plan for Waseda University Rugby Football Club, who have narrowly lost the championship for seven years. Until recently the club was coached by OBs at weekends, but starting this season they have appointed a new full-time head coach and revamped their coaching staff, which is now 24 people including nutritionists and personal trainers. Training equipment, facilities and a dormitory have been set up and a new sponsorship deal with ASICS Corporation signed. As a part of the reform, a new branding and communication design was implemented. This covered a total design package, encompassing uniforms, kits and equipment that the team uses, through to the team slogan, visual branding, promotional videos, an official website, recruiting materials, and official merchandise. This season “BE THE CHAIN” was set as the team slogan. This evokes a strong defense strategy, and calls for unity not just between players, but also with coaching staff, officials, and fans and which, rather than relying on the individual, acknowledges that co-operating together in an organized way enables the creation of an unbreakable “Chain”. 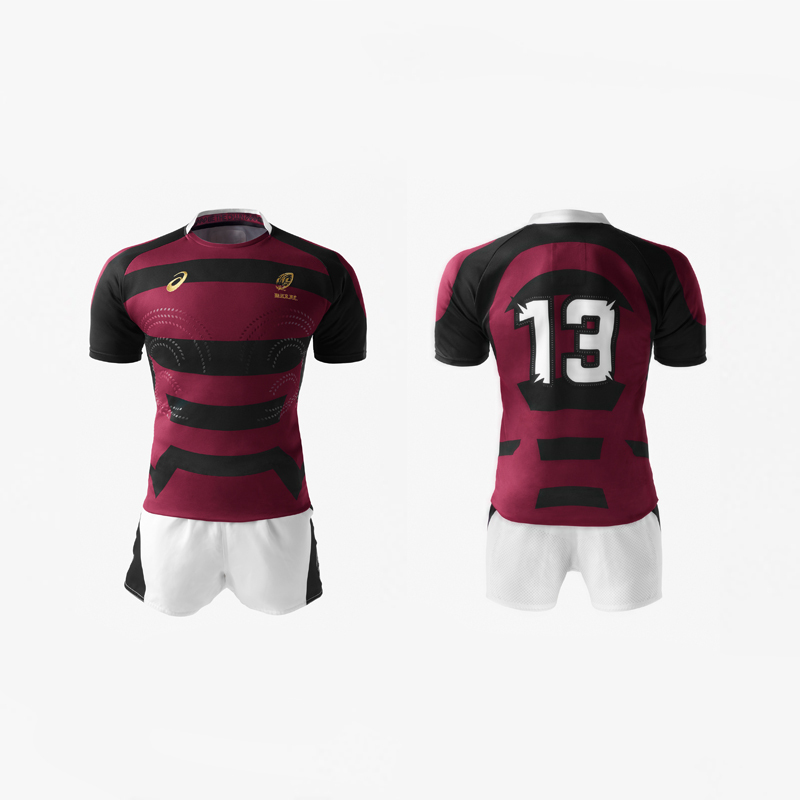 Based on the traditional Waseda uniform of dark red and black stripes we partly split the hoops, and adjusted the width and angle to emphasize the flow of muscles to make players torsos appear larger and their movements more dynamic. The uniform is designed so that when players line up side by side or join a scrum the “V”s at the waist merge forming a “W” that symbolizes Waseda and reflects the idea that teamwork enables a group to exhibit its strength. W-shaped design elements are used to decorate the corners of the numbers on the back of the uniform and to confer a sense of dynamism, while the black border lists the years that Waseda University won championships and expresses the club’s fighting spirit and pride in shouldering its past glory and traditions. The slogan “BE THE CHAIN” is printed on the inside of the collar, along with 15 chainlinks that symbolize the 15 team members linked solidly together. The lightweight fabric has a good feeling and fit even while proving a high frictional strength, and the application of a silicon rubber print to the chest and sides improves the grip force, enabling increased pack strength in a scrum. 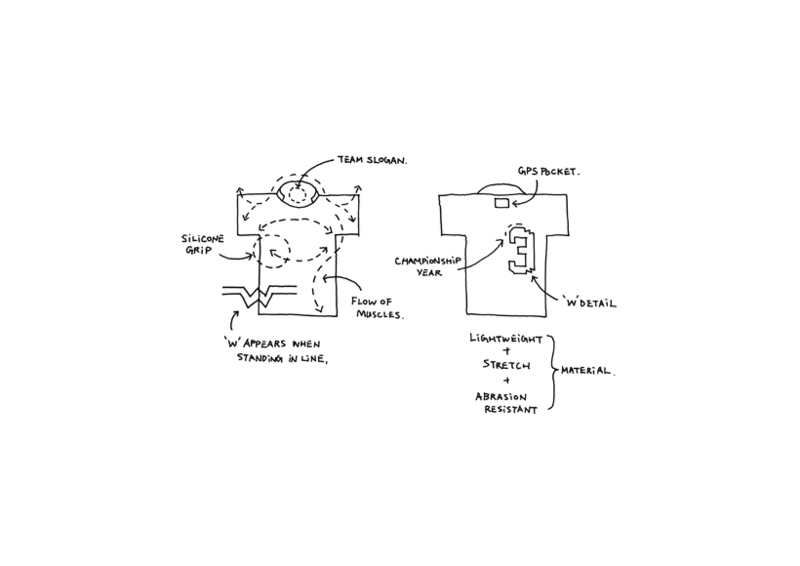 Functionality is also improved significantly with things such as a special pocket under the collar to store a GPS for measuring distance traveled or speed during games or practice matches. 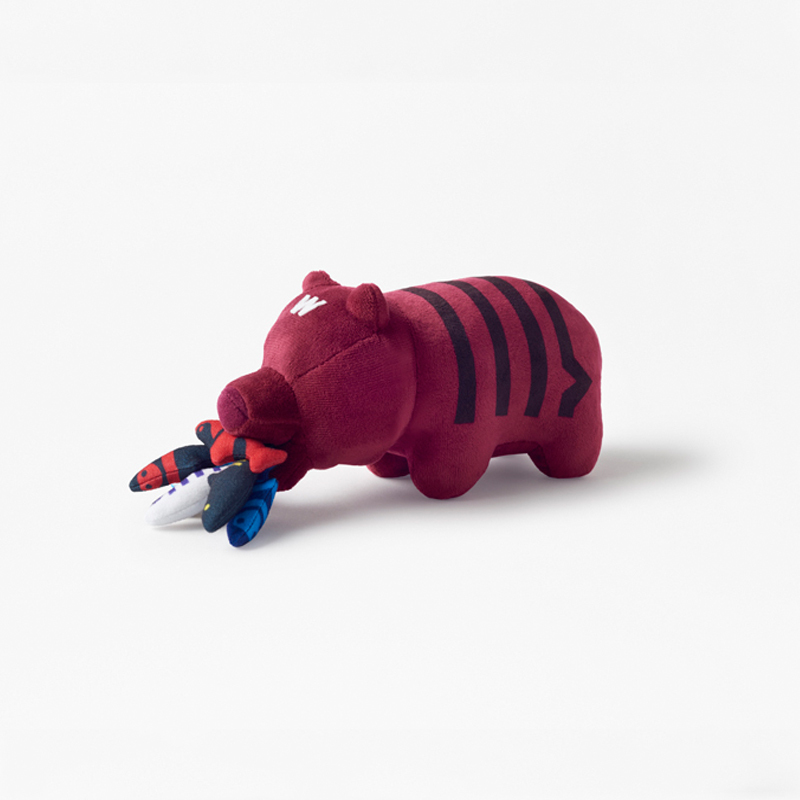 Among the various merchandising goods being developed, one that is especially interesting is the character called the “Hungry Bear”. The bear concept was taken from the founder of Waseda University, Shigenobu Okuma, whose name can be read “Big Bear”, and the design motif selected is the widely known woodcarving figure, prominent in Hokkaido crafts and arts, of a bear clenching a salmon in its mouth and which can be seen as representing the grabbing of an opponent’s uniform. While clearly expressing “Hungry to win” and “Eating the opponent”, this is aimed at appealing to a wide spectrum of people and creating enthusiasm and interest in Waseda University Rugby Club. Note that the “Hungry Bear” will not be just a stuffed toy or a keychain; rather we plan to produce real wood carvings of the figure.